Thank you to each of you that supported our Christmas Extravaganza! We enjoyed seeing each of you! Those that were at the Saturday Sampler, were part of the surprise for Diana. 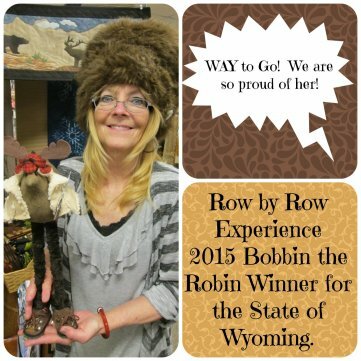 She won the Bobbin the Robin contest for the State of Wyoming. We were notified and then wanted to surprise her and have all of you share in her glory. We are so proud of her and appreciate her hard work and the extra mile she goes each and every day! Speaking of Saturday Sampler..... Are you excited and sitting on the edge of your chair? Here are a couple of the Saturday Samplers for 2015. 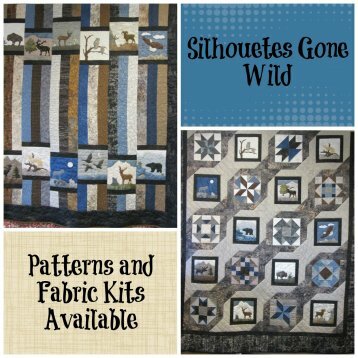 If you missed out on the patterns, we have them in stock. You can purchase them on the website if you like. 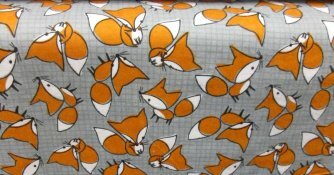 One great advantage for buying this pattern is that it is so versatile! 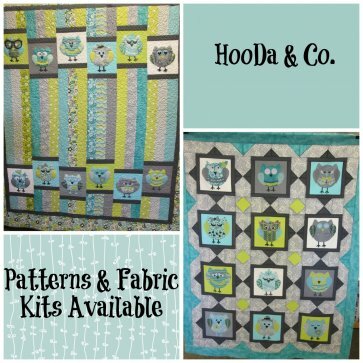 You can take any focus fabric and put it in place of the owls. 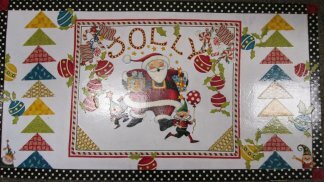 Here is an example of the same pattern but in a setting for Christmas. 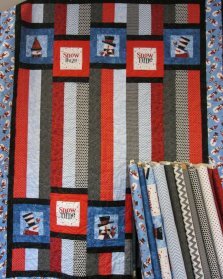 Now sing with me...... All I want for Christmas is my... gift certificate from Valley Fabric! 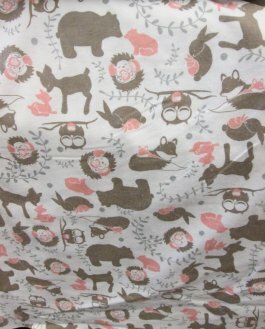 Cute new flannel that would make wonderful Pj's and a super cool pillowcase! Here is a great book to help you out. 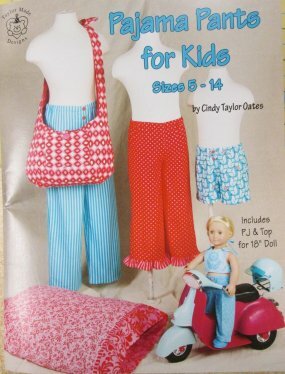 These pajama pants are a great project for the beginner sewer as well as the veteran. You won't believe how quickly you can whip up a pair! 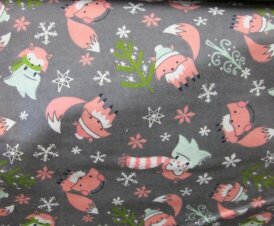 Then have fun making a matching pillowcase. 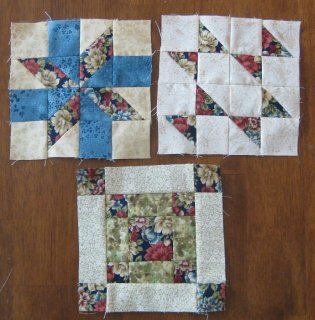 Here are a few projects for the holiday's that are simple and quick. 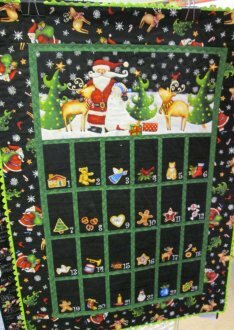 Advent Calendar- Simple panel, fold and sew. Easy peezy! 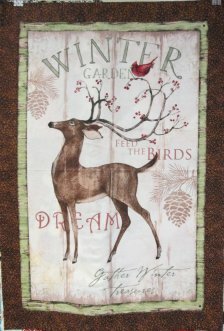 Winter Garden is just a warm and friendly wall hanging for your home. The kit is on sale for $19.99, while supplies last. This is one class you don't want to miss! 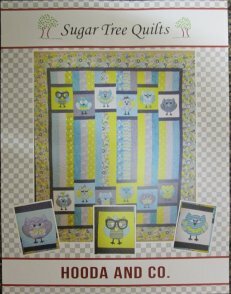 Seriously, lets take our quilting to a whole different level! 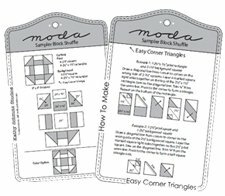 Don't know how to sew? No sewing involved! Bring your friends with you and enjoy your time with them and learning a new technique. Sign up is a must!! You will have a little bit of homework to do prior to class. 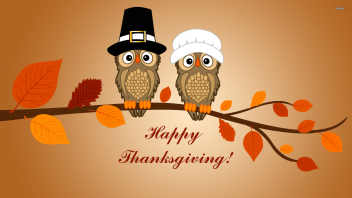 Saturday November 28, 2015 @ 11:00 am. "If the only prayer you said in our whole life was, "thank you," that would suffice."